In this young adult adaptation of the acclaimed bestselling Just Mercy, which the New York Times describes as "as compelling as To Kill a Mockingbird, and in some ways, more so," one of the most important lawyers of our time delves deep into the broken US justice system. 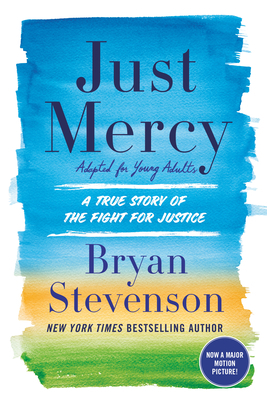 In this very personal work--proceeds of which will go to charity--Bryan Stevenson recounts many and varied stories of his work as a lawyer in the US criminal justice system on behalf of those in society who have experienced some type of discrimination and/or have been wrongly accused of a crime and who deserve a powerful advocate and due justice under the law. JUST MERCY: A STORY OF JUSTICE AND REDEMPTION IS SOON TO BE A MAJOR MOTION PICTURE STARRING MICHAEL B. JORDAN AND JAMIE FOXX! Bryan Stevenson is the executive director of the Equal Justice Initiative. Since graduating from Harvard Law School and the Harvard School of Government, he has secured relief for dozens of condemned prisoners, argued several times before the Supreme Court, and won national acclaim for his work challenging bias against the poor and people of color. He has won numerous awards, including the MacArthur Foundation "Genius" Grant. He lives in Alabama.